Ice is a huge problem this morning and another round of snow will fall through the day. The struggle is real…getting these temps to rise with this storm hasn’t been easy. Many communities saw hours of freezing drizzle and ice coats everything. Getting out of your neighborhood is going to be a challenge this morning especially in Southern & Western Maine. 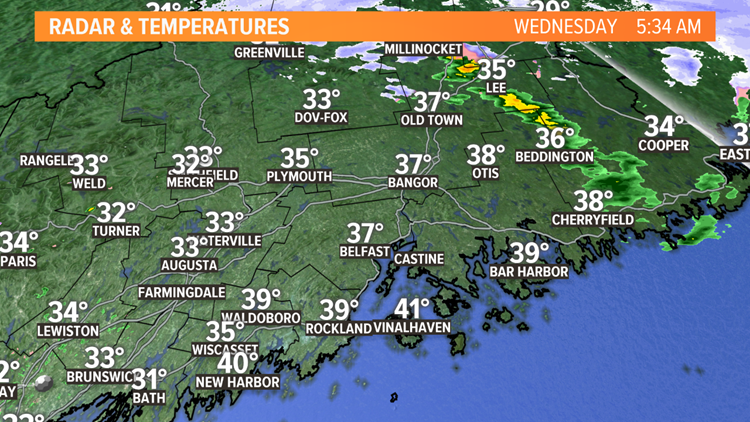 The second storm is forming over the Maine coastline right now. Precipitation is filling back in. 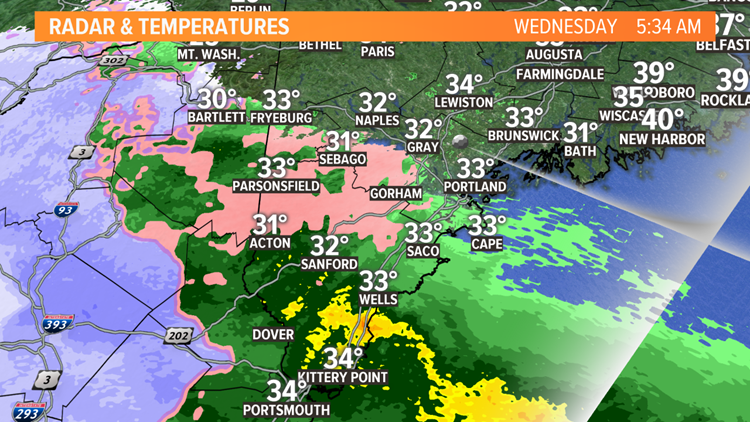 The atmosphere is still warm enough for rain but it will be cooling fast and snow will start mixing back in this morning. 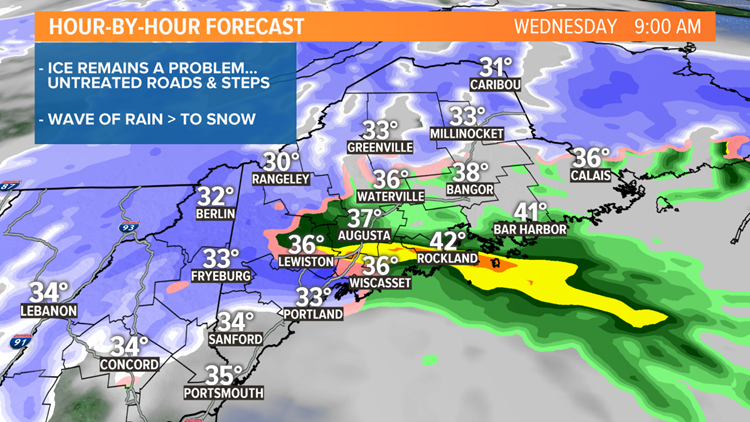 By the middle of the day, the storm will be much stronger as it moves down the Maine coast. Snow will really fill in and we’ll start to crank it out through the foothills and mountains. There will likely be a little lull in the action closer to the coastline. 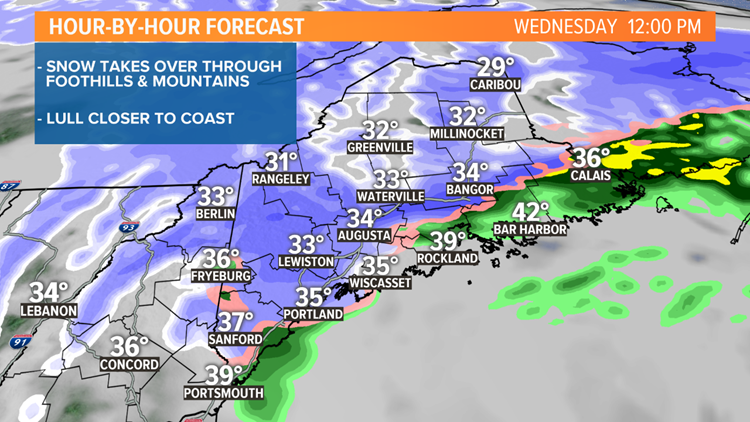 During the afternoon, a final wave or burst of snow will move through from west to east. 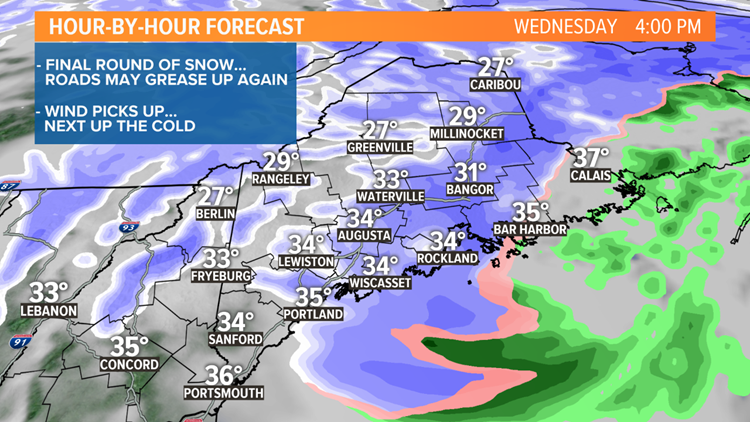 It may be a bit intense and even though it won’t last long, it will probably be enough to grease up the roads again. Be alert throughout the day for tough driving conditions. 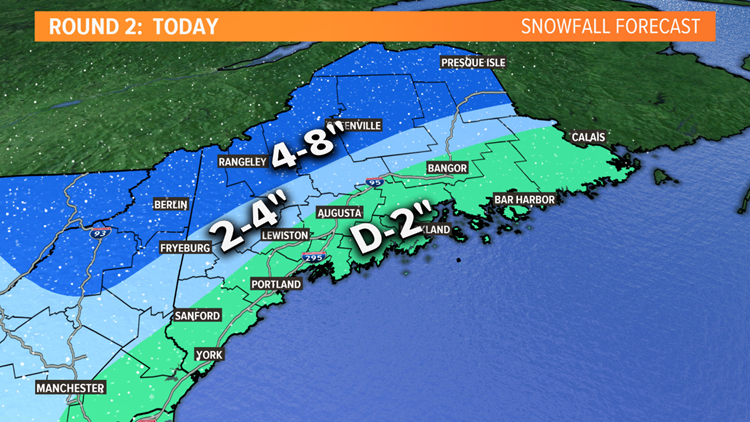 Here’s a look at snow amounts expected through the day.